If your smile is the picture, your face is the picture frame! Amelia Gentle Dentistry offers wrinkle treatments and facial fillers to help you look your best. Fuller lips, smoother foreheads, and decreased frown lines are a few of the great results seen from treatment, resulting in a younger and more refreshed appearance. The dentists at Amelia Gentle Dentistry are certified in these procedures and administer products conservatively, so the result is very natural. We offer Botox, Xeomin, Juvederm, and Belotero. What areas of my face can be treated, and with which products? Botox and Xeomin are used to treat forehead wrinkles, "11's" (creases between eyebrows), and crow's feet (wrinkles on outer corners of eyes). These products may also be used to treat "gummy smiles". 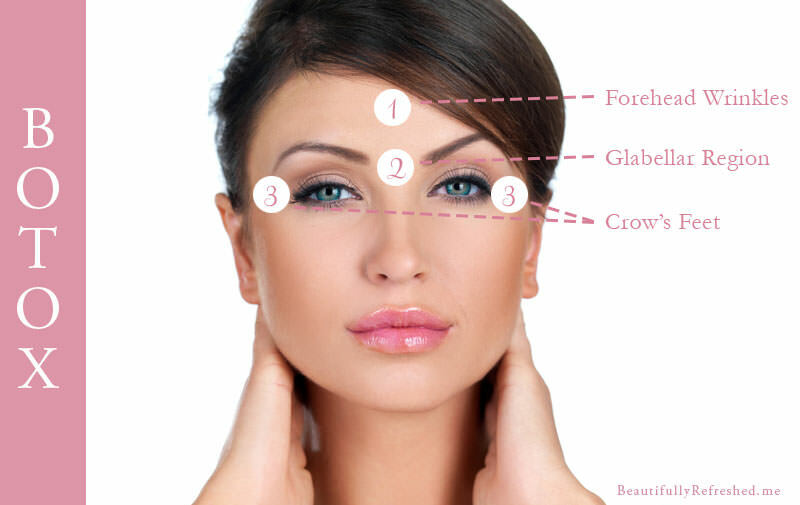 These are dermal fillers consisting of hyaluronic acid, which is found naturally in your body. 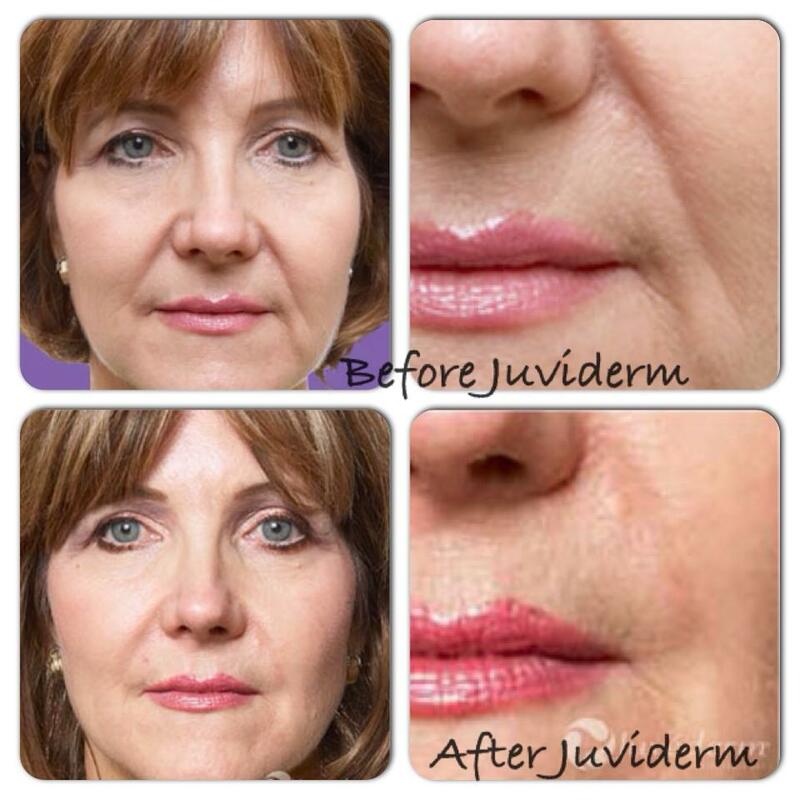 They can be used to restore volume where it has been lost due to age in areas such as the nasolabial folds and lips. Belotero is specifically indicated for lines around the lips that can develop from repeated "puckering" movements, like from smoking. XEOMIN (incobotulinumtoxinA) for injection, for intramuscular use is indicated for the temporary improvement in the appearance of moderate to severe glabellar lines with corrugator and/or procerus muscle activity in adult patients. ·Hypersensitivity reactions have been reported with botulinum toxin products (anaphylaxis, serum sickness, urticaria, soft tissue edema, and dyspnea). If serious and/or immediate hypersensitivity reactions occur further injection of XEOMIN should be discontinued and appropriate medical therapy immediately instituted. XEOMIN is contraindicated in patients with a known hypersensitivity to the active substance botulinum toxin type A, or to any of the excipients (human albumin, sucrose) in the formulation. ·Use in patients with an infection at the injection site could lead to severe local or disseminated infection. XEOMIN is contraindicated in the presence of infection at the proposed injection site(s). ·The potency units of XEOMIN are specific to the preparation and assay method used and are not interchangeable with other preparations of botulinum toxin products. Therefore, Units of biological activity of XEOMIN cannot be compared to or converted into Units of any other botulinum toxin products. ·Treatment with XEOMIN and other botulinum toxin products can result in swallowing or breathing difficulties. Patients with pre-existing swallowing or breathing difficulties may be more susceptible to these complications. When distant effects occur, additional respiratory muscles may be involved. Patients may require immediate medical attention should they develop problems with swallowing, speech, or respiratory disorders. Dysphagia may persist for several months, which may require use of a feeding tube. Aspiration may result from severe dysphagia[See Boxed Warning]. ·Individuals with peripheral motor neuropathic diseases, amyotrophic lateral sclerosis, or neuromuscular junctional disorders (e.g., myasthenia gravis or Lambert-Eaton syndrome) should be monitored particularly closely when given botulinum toxin. Patients with neuromuscular disorders may be at increased risk of clinically significant effects including severe dysphagia and respiratory compromise from typical doses of XEOMIN. ·corrugator injections should be placed at least 1 cm above the bony supraorbital ridge. ·XEOMIN contains human serum albumin. Based on effective donor screening and product manufacturing processes, it carries an extremely remote risk for transmission of viral diseases and Creutzfeldt-Jakob disease (CJD). No cases of transmission of viral diseases or CJD have ever been reported for albumin. Glabellar Lines:The most commonly observed adverse reaction (incidence ≥ 2% of patients and greater than placebo) for XEOMIN was Headache (5.4%). Co-administration of XEOMIN and aminoglycoside antibiotics or other agents interfering with neuromuscular transmission, e.g., tubocurarine-type muscle relaxants, should only be performed with caution as these agents may potentiate the effect of the toxin. Use of anticholinergic drugs after administration of XEOMIN may potentiate systemic anticholinergic effects. The effect of administering different botulinum toxin products at the same time or within several months of each other is unknown. Excessive neuromuscular weakness may be exacerbated by administration of another botulinum toxin prior to the resolution of the effects of a previously administered botulinum toxin. The safety and effectiveness of XEOMIN in patients less than 18 years of age have not been established. Please clickherefor XEOMIN full Prescribing Information, including Boxed WARNING.